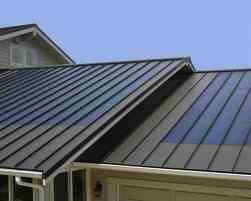 Metal roofs are sturdy and last several years compared to other types of roofing materials. They are weather resistant and generally retain their looks much better than shingle roofs. Because of the durability and strength of metal, you will replace your roof less often and ultimately save on repair expenses. Rust, however, is an unavoidable occurrence in all metal roofing. Since most if not all metal roofs have iron contents, rust inevitably appears especially in humid areas since air moisture is a common cause of rust. Rust is, in fact, a typical problem for most Chicago roofing because of the city’s humid climate and extreme weather conditions. Rust is not only unsightly but also destructive that could lead to more damage if left untreated. If rust develops on your roof, there are steps that you could take to remove them. Use sandpaper or steel brush to remove the rust from the surface. Wire brushes can easily scrape off rust and other dirt that accumulated through time. Sanding the area after wire brushing is required if you intend to paint a smooth finish on the roof. For sandpapers, use an 80 grit grade for the initial rough sanding followed by a 120 grit sandpaper for smooth sanding. Be sure to fill in gaps, holes and cracks with filler materials before painting to avoid those rough surfaces. Acid easily removes rust from metal. One pound of oxalic acid to a gallon of water will do the job. Load the acid solution into a spray container and spray the affected areas with hose. Let it sit for a while before rinsing with water until the acid mixture is washed away. Any sign of rust left could be removed with wire brush. This is probably the quickest and easiest way to get rid of rust from metal. Sandblasting is the process of cleaning a surface by bombarding it with fine materials at high-velocity. Sand is the most common material used for sandblasting, but other materials are also available. You will need an air compressor for this task aside from the blaster nozzle and abrasive. These are products that convert rust into a harmless chemical compound. They also coat the surface with protective film that prevents rust from setting in. Sanding or wire brushing the rusty areas is not necessary before applying a rust converter. No preparation is necessary before the product is used to remove rust. Just apply it wherever rust is found, and it will neutralize rust.